The title of this post is intentionally ironic. Everyone knows that we are away from school today because Dr. Martin Luther King, Jr. is commemorated by name with a national holiday. And just about every American alive is familiar with King's "I Have A Dream" speech. As a kind of evidence, look closely at this 3-frame diagram of King's funeral photo which highlighted African-Americans using black dots, and whites, using red dots. Please click to enlarge the details. Black and White TV Set? Last night's Golden Globes may have offered some encouraging news for people interested in television diversity. 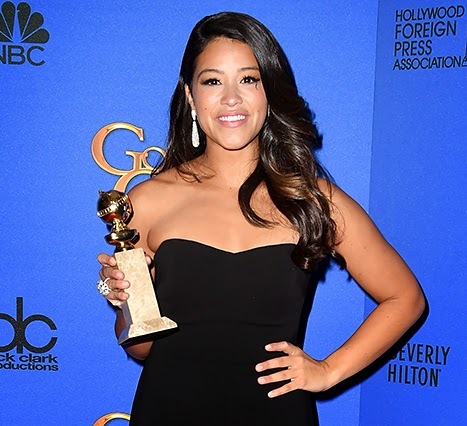 Gina Rodriguez won a "globe" for a comedy called Jane the Virgin and later said that her award "represents a culture that wants to see themselves as heroes." Yet she was the only actor of color to win a globe last night. (Presenter Don Cheadle, was the only actor of color to win last year, also for a TV comedy). And last year, a Writers Guild of America report on women and minorities in television offered what some also see as encouraging news. In the past 12 years, for example, the number of minority writers has roughly doubled moving from 7.5% of all writing jobs to 15.6%. The biggest increases were in the number of Asian-American and Latino writers, especially those working in "multicultural dramas." Similarly, the number of women writers has risen from 25-30% over the past decade, promising, perhaps, but still far less than the 50+% of the population women actually represent. Perhaps this is why, the authors of the report had considered subtitling the report "Pockets of Promise, Minimal Progress." Overall, the numbers look better — more representative of what our country looks like— but are these numbers truly encouraging? Is there reason to be optimistic? Let's look closer at some of the numbers: "only 9% of pilots had at least one minority writer attached [to their writing staff] and just 24% of pilots had at least one woman attached, according to the report." Shockingly low, no? A monolithic line-up of Emmy-nominated writers? Here is a recent picture (above) of a panel of Emmy-nominated writers. Ask yourself who is represented? 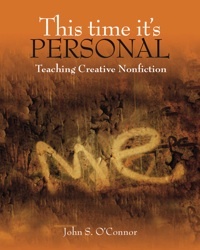 Who is not? And the numbers are even more stark when you behind the camera. According to Think Progress, in an article called "TV Directors get Whiter and More Male," the percentage of episodes of television in the 2011-2012 television season directed by white men rose from 72 percent to 73 percent. White women directed 11 percent of episodes, the same as last year. And women of color and men of color basically traded work: men of color directed 13 percent of episodes, down from 14 percent last year." With a disproportionately high percentage of white writers and directors, it perhaps not surprising that news for actors of color is similarly frustrating. Among actors on TV there had been reason to hope in 1998 when Andre Braugher took home a leading-actor Emmy in 1998 for his work on "Homicide: Life on the Street," becoming only the third black actor to win in that category (Bill Cosby and James Earl Jones got there first). But in the last 14 years, there has been only one minority nominee: Braugher again, for the swiftly canceled ABC medical drama, "Gideon's Crossing."